1. 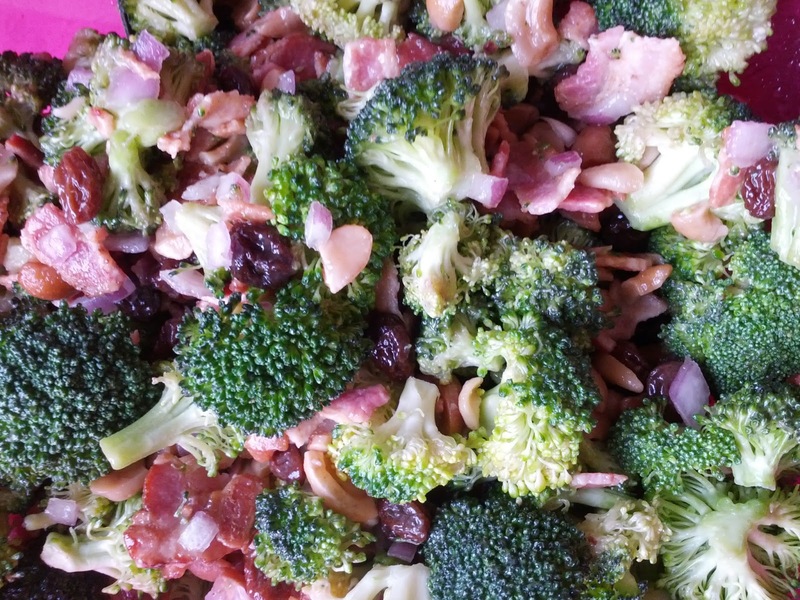 Mix the broccoli, bacon, cashews, raisins and onions in a large bowl. 2. In a second bowl, beat dressing ingredients together gently until smooth. 3. About 10 minutes before serving, toss the salad with the dressing to allow flavors to meld.